So many of the foods we eat everyday are sprayed again and again with pesticides before landing on our tables. There are countless studies on how certain pesticides lead to increased cancer risk and contribute to diseases such as Parkinson’s and Alzheimer’s, especially among farmers. What most people don’t know is the connection between genetically modified organisms (GMOs) and pesticides. The surge in genetically engineered crops in the past few decades is one the main causes of the increasing use of pesticides and chemicals in agriculture. As a matter of fact, genetically engineered crops directly promote an industrial and chemical intensive model of farming harmful to people, the environment and wildlife. Due to corporate pressure, millions of people are denied the right to know about where GMOs occur in the food chain. Mandatory GMO labelling is the rule in only a handful of countries. 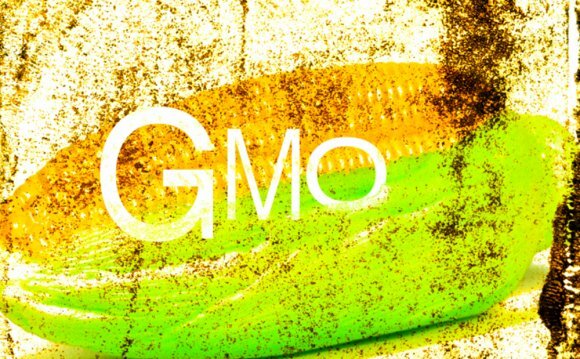 Giant agribusiness firms insist that GMO crops are not harmful to humans because they profit more if people believe that. But scientists know we simply don’t have enough evidence to make that claim. What we know about GMOs is just the tip of the iceberg. Beyond that, giant agribusiness firms should not have the right to patent nature itself. We all own the bounty of the earth collectively together. We shouldn’t accept a world where chemical giants go after small farmers because a patented seed accidentally blew into his field and transformed his crop. GMOs threaten the independence of farmers to provide healthy food to us all. Mandatory GMO labeling is the rule in 64 countries, but major markets like the U.S., Canada, Argentina and most of continental Africa do not require it. Monsanto is the top producer of GMO seeds in the world, which are designed to resist the toxic weedkiller RoundUp that it also sells. As a result, the use of toxic herbicides like Roundup has increased by 15 times since GMOs were introduced. Glyphosate—the active ingredient in RoundUp—was classified as carcinogenic by the World Health Organization. The Institute of Animal Biotechnoloogy is independent entity of the Faculty of Agricultural Science and Food in Skopje, and has educational and research role. In this institute is located the laboratory for GMO and Genetic Engineering.